JD (Universidad Externado de Colombia), LLM in Maritime Law (University of Wales, College of Cardiff, UK). Partner of Guzmán Escobar & Associates. Practising lawyer, both advisor and litigant, in the fields of maritime law, aviation law, transportation law, international trade law and insurance law. Lecturer of Maritime and Transportation Law at the Universidad Externado de Colombia (Bogotá DC). Arbitrator for the Arbitration Centres of the Chambers of Commerce of Bogotá, Cartagena, Cali, Barranquilla and Panama. 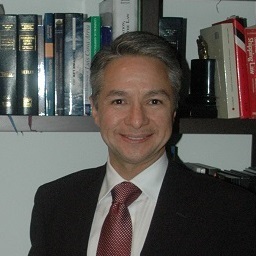 Author of the books “Admiralty Jurisdiction in Colombia” (2002), “Contract for the Carriage of Goods by Sea – Bills of Lading” (2007) and “Contracts o Carriage” (2009) and various articles on maritime and transportation law. Member of the Iberoamerican Institue of Maritime Law. President of the Colombian Association of Maritime Law.